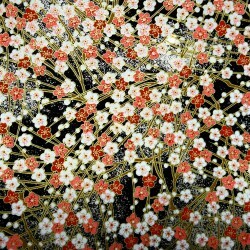 Tabi socks Size 39 to 43 - Fudō Myōō print. Sneaker type Japanese tabi socks featuring Fudō Myōō wisdom king. 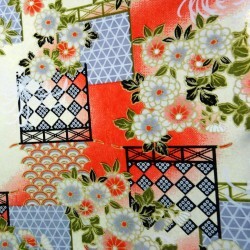 Available in 5 colors: black, dark blue, grey, red or white. 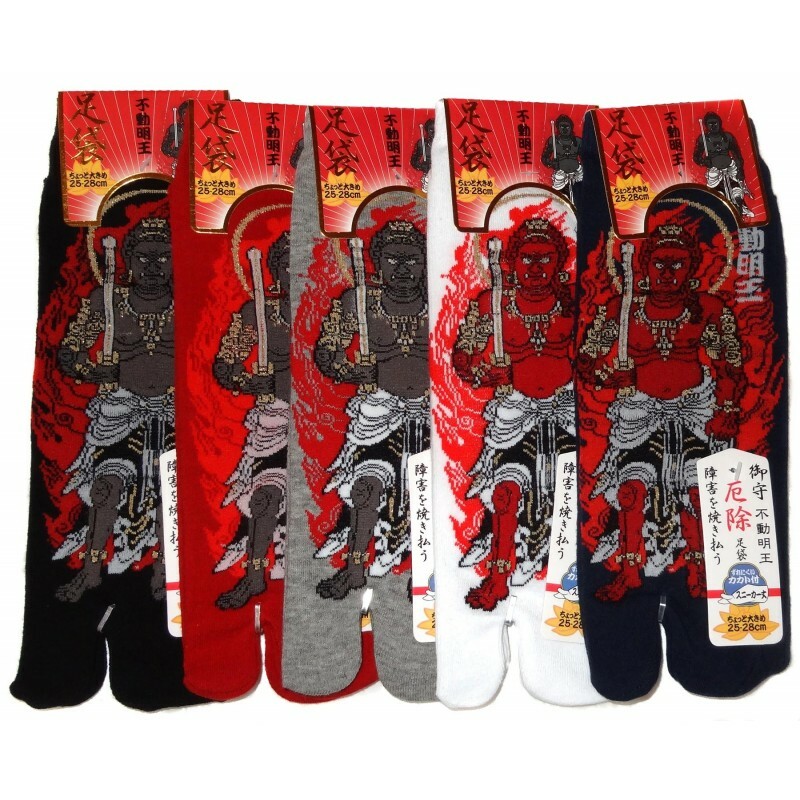 Sneaker type Japanese tabi socks featuring Fudō Myōō. 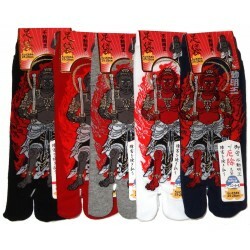 Japanese split toes socks featuring Fudômyôô is on of the five Wisdom Kings of the Taïzôkaï mandala. He is the destroyer of delusion and the protector of Buddhism..